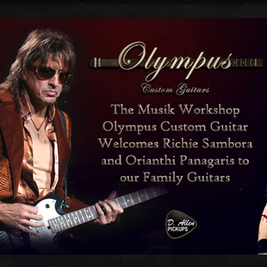 Olympuscustom Guitars - Luthier - Marek Pompetzki και Olympuscustom Guitars. 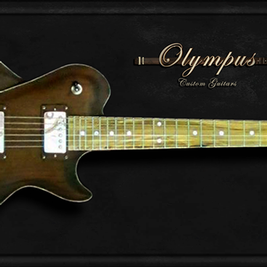 Marek Pompetzki και Olympuscustom Guitars. 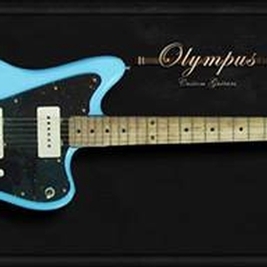 designs and builds entirely handcrafted electric guitars and basses..
''OLYMPUS'' Custom '63 ''BlueSky'' Relic!! 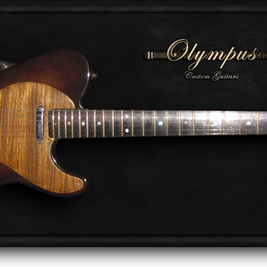 This model guitar is the third in the series and was made entirely by hand.The main body is Greek walnut tree, the Neck are Greek Olive trees and Walnut fretboard .Back to the bridge, has two eagles made of olive wood.The Neck Pickup is it one American Stantard and the Bridge is Vintage '54 Tele. About BGTS system: The electronic system BGTS at JimChris Pedals company constructed by philosophy, to protect the signals of electric instruments, from various Parasitic frequencies that intervene in the electric and magnetic levels of an electric instrument, such that this provides full and automatic shielding for the instruments even if they do not have good shielding. Essentially gives us 100% performance and strength concerning electric and flat frequency of the Pick up's,on a long tour of the signal, to the recipient which is an amplifier . 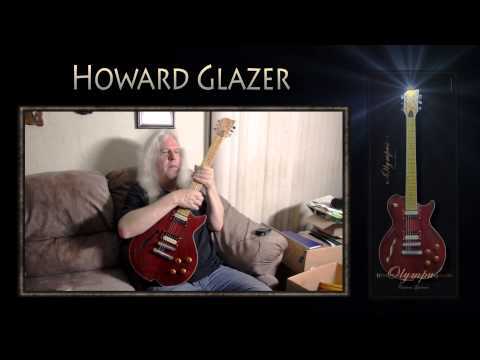 Shutting down the TONE CONTROL we observe a uniform frequency allocation in all the strings of an electrical musical instrument, cutting off high frequencies, with more closed U, without leaving unnecessary low frequency to pass(180 Hz- 630 Hz). 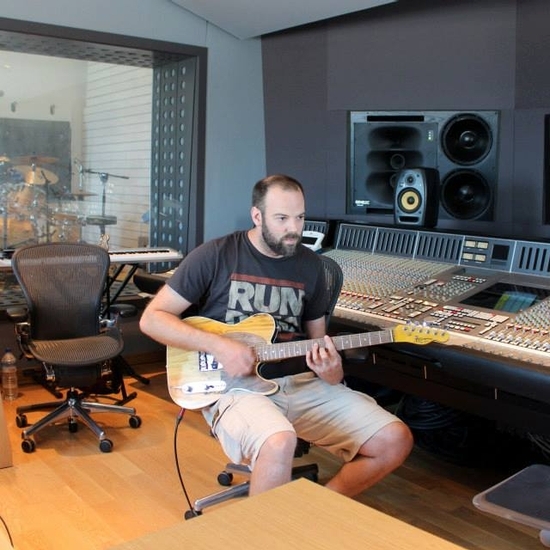 In simple terms, the sound of electrical instruments does not meet in any''homic'' resistance and provides unaltered signal to the input of the amplifier. ** The system works with a nine volt alkaline battery. 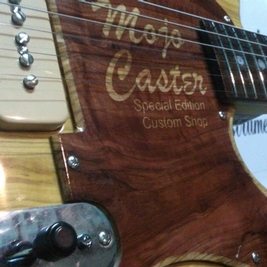 Output: Vintage Hot Bridge DC: 7.6KΩ * Magnet: Alnico V Neck DC: 7KΩ * Magnet: Alnico V SUITABILITY: A good choice for warmer sounding Telecasters particularly well suited to rosewood boards; any Tele that needs some extra grind in the mid range and increased output. 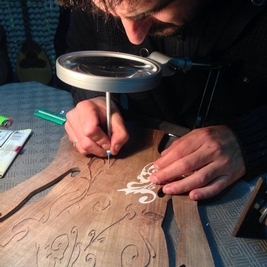 This model guitar is the fourth in the series and was made entirely by hand.The main body is Greek Melios wood, the Neck are Mahogny and Olive wood fretboard . 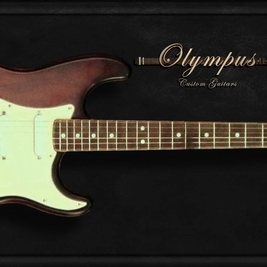 The Pickups is Bare Knuckle Pickups :A vintage voiced humbucker with an exquisite vocal tone, balanced mid-range projection and sweet harmonic overtones. 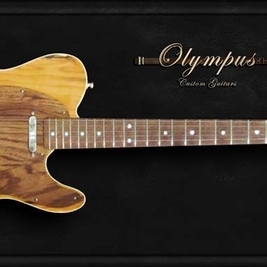 : Utilising the same sand-cast Alnico IV magnet as The Mule, the Abraxas humbucker provides similar breadth and detail across the mid range but with considerably more power. The 43 AWG plain enamel scatter-wound coils retain the harmonic complexity of the vintage humbuckers adding more bottom-end depth and smoother control in the high-end, particularly in brighter guitars. Players looking for more mid range crunch and the ability to drive an amp naturally will enjoy the classic voice of the Abraxas humbucker. The higher output also allows for excellent coil splits and it cleans up well with the volume pot. 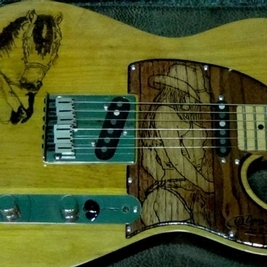 Output:Vintage Hot Bridge DC:14KΩ * Magnet:Alnico IV Neck DC:7.4KΩ * Magnet:Alnico IV SUITABILITY: All solid-body guitars and brighter instruments that would benefit from added bottom end and warmer high-end response. 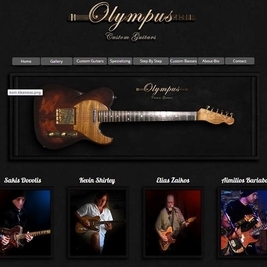 OLYMPUS ''MojoCaster'' special adition and Mr Elias Zaikos(BluesWire) on guitar!!!! 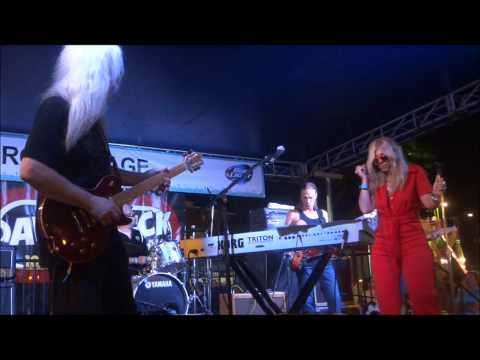 Eliza Neals & the Narcotics - Howard's 1st gig with Olympus Custom Guitar's Howard Gazer Signature !